One of the most important problems of modern philosophy concerns the place of the mind - and in particular, of consciousness and intentionality - in a purely physical universe. Brian Loar was a major contributor to the discussion of this problem for over four decades.This volume contains two parts; one a selection of Loar's essays on the philosophy of language, the other on the philosophy of mind. A common thread in Loar's essays on language is his engagement with the Gricean program of reducing linguistic representation in terms of mental representation. 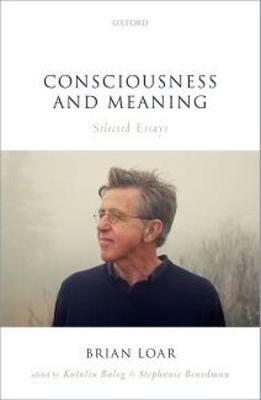 In the philosophy of mind he was mostly concerned with understanding consciousness and intentionality (mental representation) from the subjective perspective. The central concern that unifies Loar's work in mind and language is how to understand subjectivity in a physical universe.